This year, the Smart City for the Citizens conference will focus on data and AI as game changers for cities today and in the future. This conference concludes the Conference of European Directors of Roads' (CEDR) Transnational Road Research Programme “User Needs in a multimodal context”, which funded the ISAAC and STTRIDE projects. 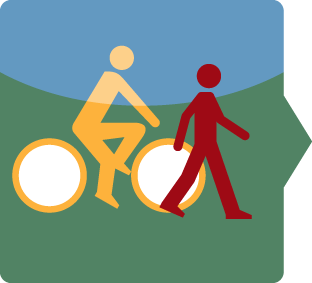 The ISAAC consortium developed evidence-based recommendations to encourage a modal shift towards walking and cycling, whilst STTRIDE addresses how to use technological advances to deliver modal shifts. The 12th edition of the Austrian Cycling Summit is going to take place in Graz from May 27th to 29th 2019 under the general motto „cycling.connects”. The Styrian cycling capital Graz invites you to participate and exchange know-how and experience with national and international experts during these three days. An exciting program awaits you including over 50 interesting sessions, workshops and attractive side events.